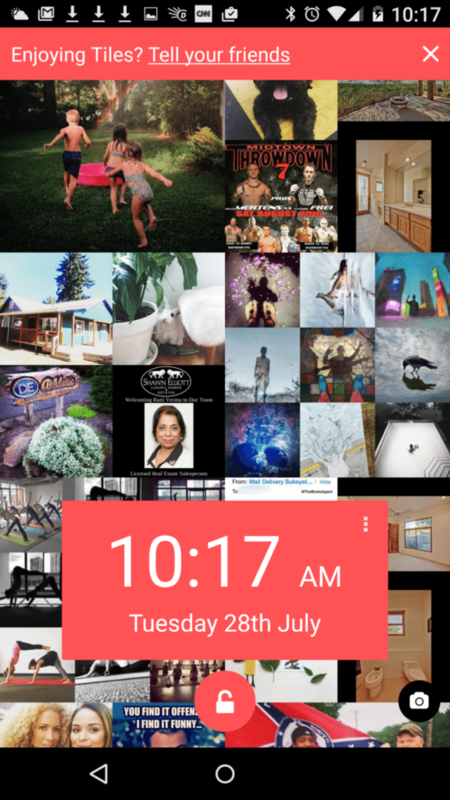 Tiles is a mobile app that makes your cellphone’s lock screen your Instagram page. Latergramme is a mobile app for both Android and Apple users that allows you to semi-automate future posts on Instagram. InstaRepost allows you to reshare the poignant posts that come across your Instagram. 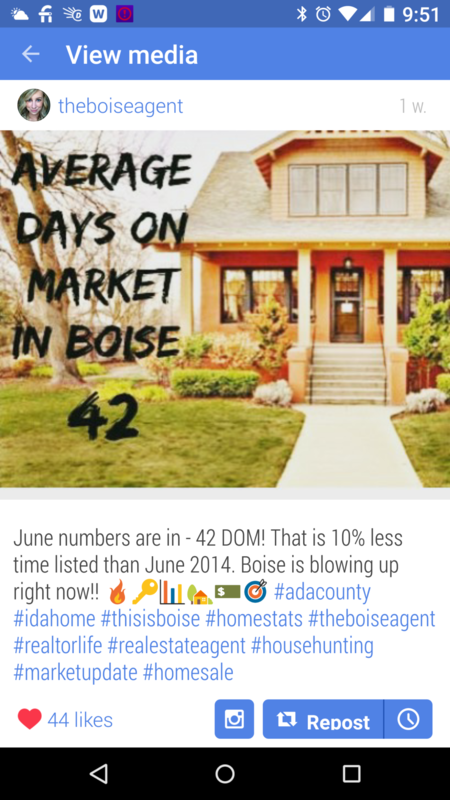 It seems that more people are joining the bandwagon of marketing their real estate sales business on social media. But are you one of the folks who sees social media as a necessary evil? Necessary because you know that is where buyers’ and sellers’ eyeballs are. However, it’s an evil when it drains your precious time to sell homes and make family memories. Maybe you aren’t a fan of social media at all. Well, I’ve got three apps for those of you who hate social media. These apps will help you look like you’re active so that you can sit back and enjoy being a hater. I have always treated Instagram like a second-class citizen among the other social media sites because Instagram has spurred automatic posts like the rest of the lot. Automation is the name of the game when you are running a business, raising a family and keeping your sanity, so Instagram’s defiance has put it at the back of the line despite its marketing effectiveness. Well, there are three apps that help to minimize these headaches. Automation is the name of the game when you are running a business. Tiles is a mobile app that makes your cellphone’s or tablet’s lock screen your Instagram page. Talk about quadrupling your engagement on Instagram in less time. Every time you open or unlock your phone, you can see the highlights on Instagram at a quick glance and make comments, regardless of whether you are offline. Tiles makes it easy to engage with those whom you follow on Instagram now (hopefully you are following prospective buyer and seller clients and your favorite real estate vendors). It makes it more likely that you will not miss the announcement that @RickyTheRelocator got the job promotion and transfer he wanted and is moving to your town. You obviously do not have to respond to everything, but this app allows you to connect with the photos that resonate with you in a timely fashion, and it captures your attention with a simple double tap. Unfortunately, this handy app is currently available only on Android but not Apple’s iOS. Latergramme is a mobile app for both Android and Apple users that allows you to semi-automate future posts on Instagram. If you have ever wanted to share something on Instagram, but now is not the exact right moment, you can save that thought in Latergramme. 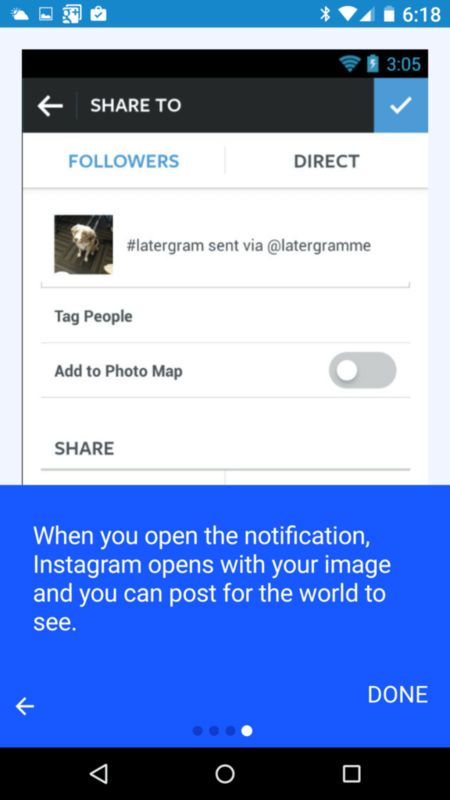 Latergramme is a mobile app that allows you to semi-automate future Instagram posts. Latergramme will then send you a reminder to post. It is semi-automated because it does all of that, but you still have to click “post” at that later time for it to go live on Instagram. Of course, total automation would be great, but this is a good start to making Instagram easier to use as a busy real estate agent. All three of these apps have free options so try them out and feel free to let me know below what you think. With the Tile lock screen, you will see more of the interesting, creative, witty and jaw-dropping posts of others, some of which can help you generate engagement for your business. Because engagement is the name of the game on social media, why not reshare the poignant posts you come across on Instagram? You can and should with InstaRepost. InstaRepost is another easy app that allows you to share posts that could increase your followers or even cause some to DM (direct message) you, which boosts the likelihood of followers becoming your real estate clients. Within the InstaRepost app, you can see a running gallery of the posts you have liked in the past, your current feed or you can search for new posts to repost. Now, instead of making your full-time job that of the real estate paparazzi, InstaRepost allows you to save the posts you like, so that you can share them at a later date. This does not replace Latergramme, which allows you to craft your own posts to share later. But it allows you to share others’ images and videos (giving credit where credit is due) and write your own captions with hashtags relevant to capture your ideal buyer and seller. These three apps are ideal for those of you who aren’t fans social media — especially Instagram. I hope you get as much use out of them as I do. All three apps have free options, so feel free to try them out and let me know what you think in the comments section below. With so many new apps, are you wondering how your business will keep up and stay relevant as technology continues to change? Then check out this free e-book on achieving business longevity in a fast-paced, ever-changing techie world. Here’s to your success. Lee Davenport is a licensed real estate broker, business doctoral student, trainer and coach. Learn more about the training and one-on-one coaching programs that she offers by visiting AgentsAroundAtlanta.com. Follow her on Google Plus and Facebook. Can Periscope help stop the extinction of agents?